What are different ways to load classpath resources in Java? 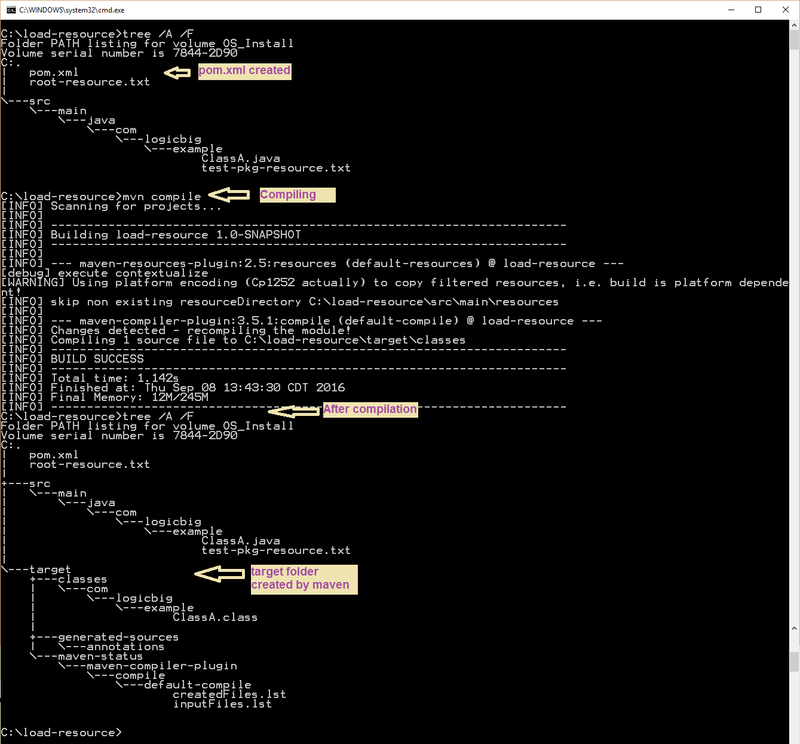 Followings are the preferred ways to load resources in classpath. 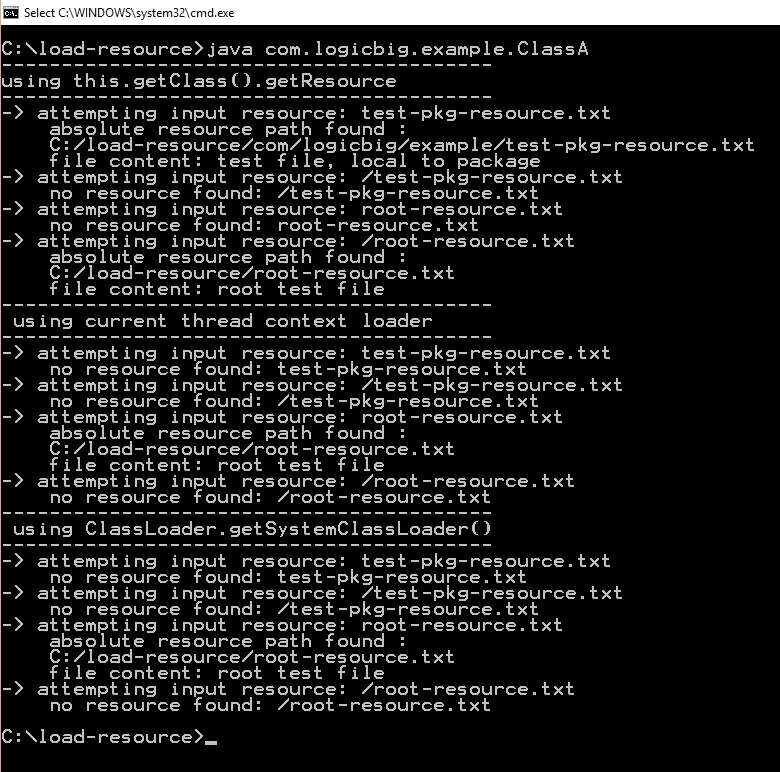 Thread.currentThread().getContextClassLoader().getResource(resourceName): A ClassLoader can be passed (shared) when creating a new thread using Thread.setContextClassLoader, so that different thread contexts can load each other classes/resources. If not set, the default is the ClassLoader context of the parent Thread. This method is not appropriate if we want to load resources inside the packages unless we use complete paths starting from root. 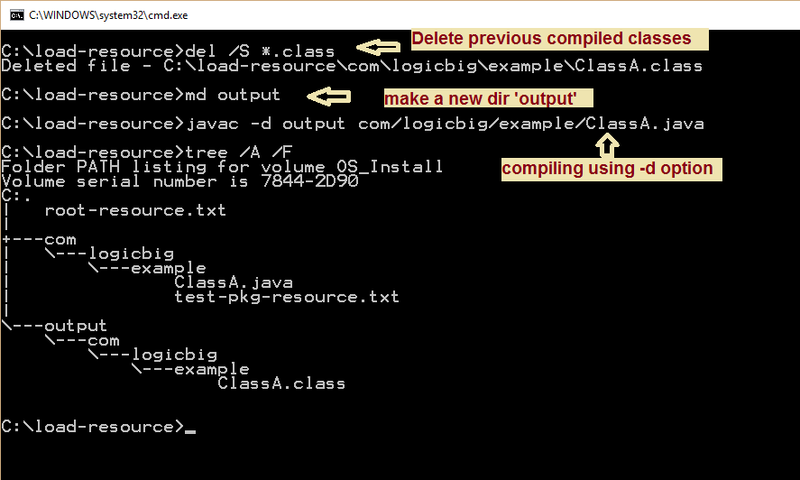 ClassLoader.getSystemClassLoader().getResource(resourceName) : ClassLoader.getSystemClassLoader() gives the class loader used to start the application. we have to use complete path for the resources starting from root. If we don't create any threads in the entire application, the main thread will end up with the system class loader as their context class loader. In above example, we created a simple project using IntelliJ IDE 15.0.2 and JDK 1.8. Notice how resources are copied in output folder . Resources are loaded from output folder during runtime. The output is same as we saw with IntelliJ project above because relative locations of the resource files are sill same from .class file. The resources in this case are not copied at all. We have to copy them manually or better use some IDE or build tool like maven. Maven by default has a standard directory structure. 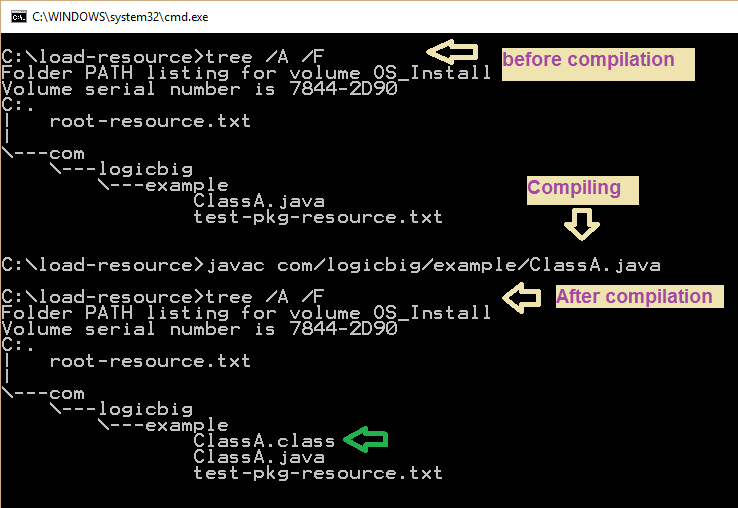 During build it only copies resources to '/target/classes' folder which were originally placed under src/main/resources directory. If resources are somewhere else they are ignored (this is default behavior which can be customized, we will explore that later). We can see there are no resources copied because we have to place all our txt files in the 'resources' folder. Where are target resources after maven build? this.getClass().getResource: This works if we use path from root, /root-resource.txt. That makes sense because our resources are just under 'classes' in the target folder. ClassLoader.getSystemClassLoader().getResource(resourceName): Same as context class loader, it only works without a leading slash '/'. How to change maven default 'resources' directory? 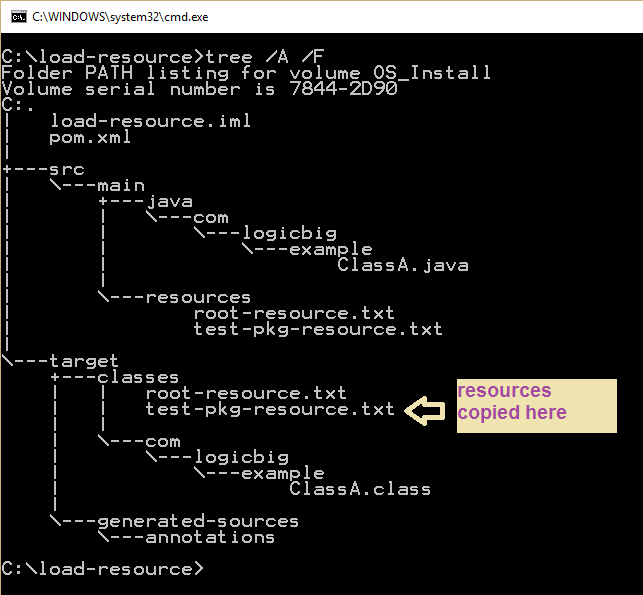 We can use <resources> in pom.xml to override default resource location. In the followings, we are specifying 'java' and 'resources' directories as resources. The java runtime behavior is consistent in all above cases. 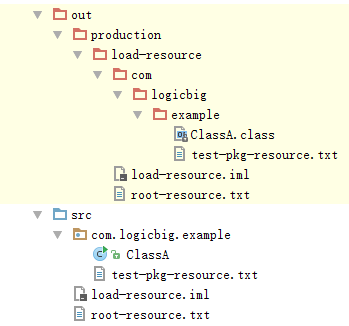 Although output is different because of the different locations of resource files relative to .class files. It all depends where our build process places the resources files in output/target directory. List all files in a classpath folder.